Valentine's Day is the day I became engaged to my husband, which makes it one of my favorite days of the year. I would love to say that every year we go all out and celebrate like crazy, and although we have done that a lot of years, most of the time life gets in the way and it becomes just another busy day. 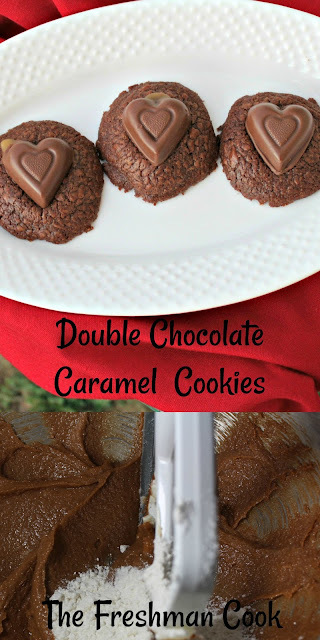 So this year, as part of my plan to make Valentine's Day, extra special, I thought it was time to make these Double Chocolate Caramel Cookies. These cookies taste amazing! 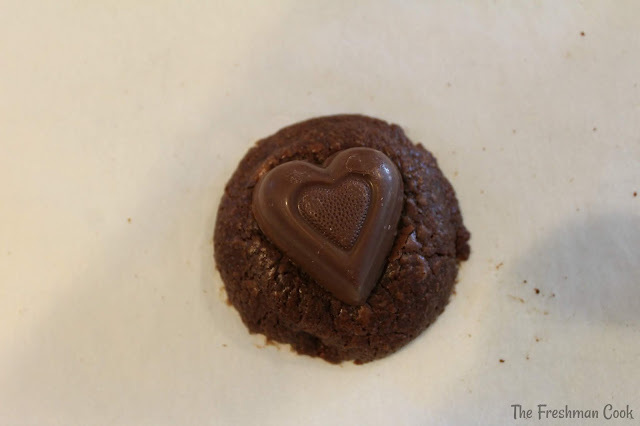 The caramel flows from the chocolate heart, and mixes with the chocolate cookie for an awesome, creamy chocolatey taste that you will love, and won't be able to forget. Plus, they make a great gift for your special someone! 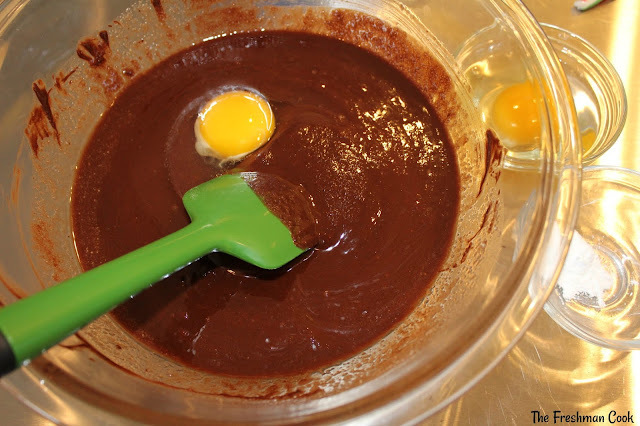 Microwave the chocolate and butter in a large microwaveable bowl on high for 2 min, or until butter is completely melted. Stir butter and chocolate together until chocolate is completely melted. Add eggs, one at a time. 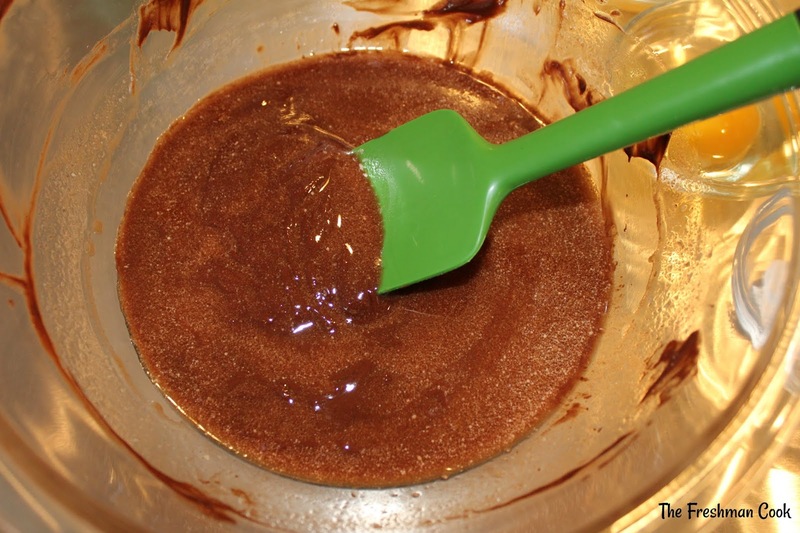 Mix until completely blended. 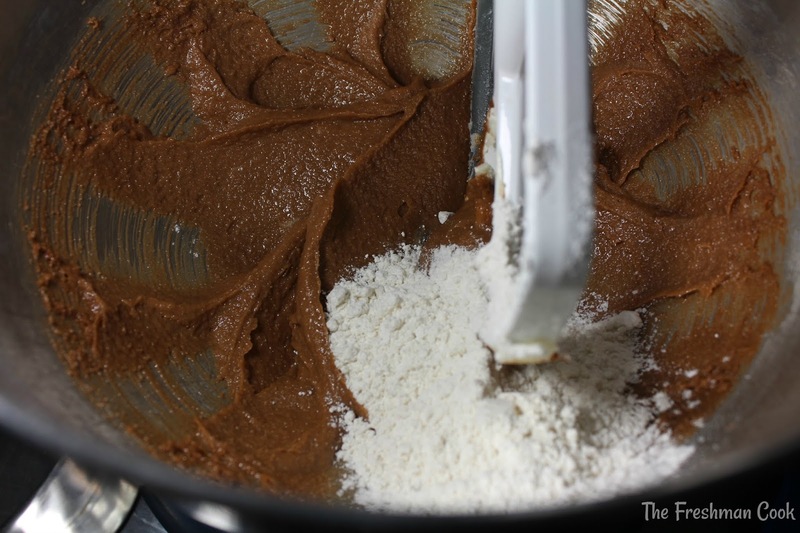 Combine the flour and baking powder together, and add it to the bowl. Mix well. The dough will be very soft. 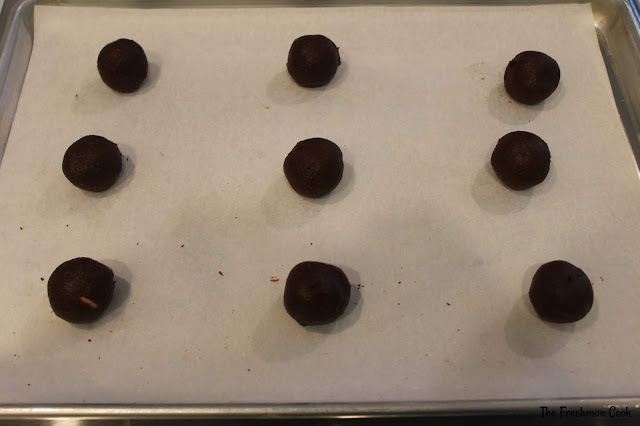 Cover and refrigerate for at least 2 hours, or overnight. 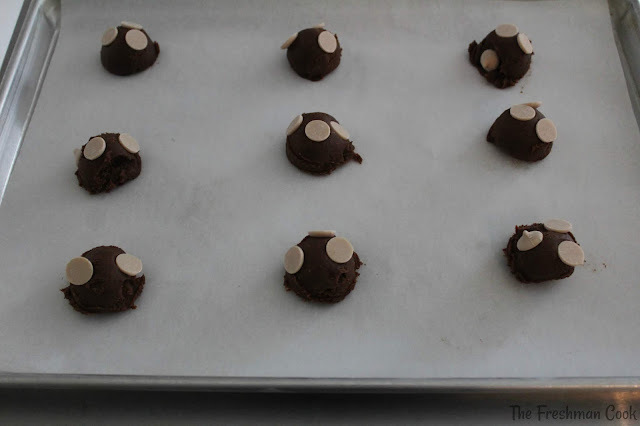 Use a 1 ounce scoop to make balls of dough on a baking sheet lined with parchment paper. 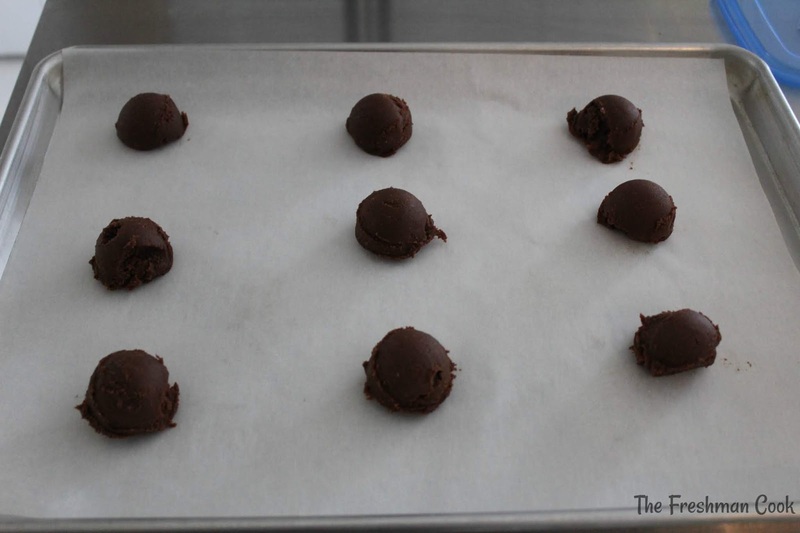 Add 3 caramel chips to each ball of dough. Reroll the dough to incorporate the chips. Bake at 350 degrees for 10-12 minutes. 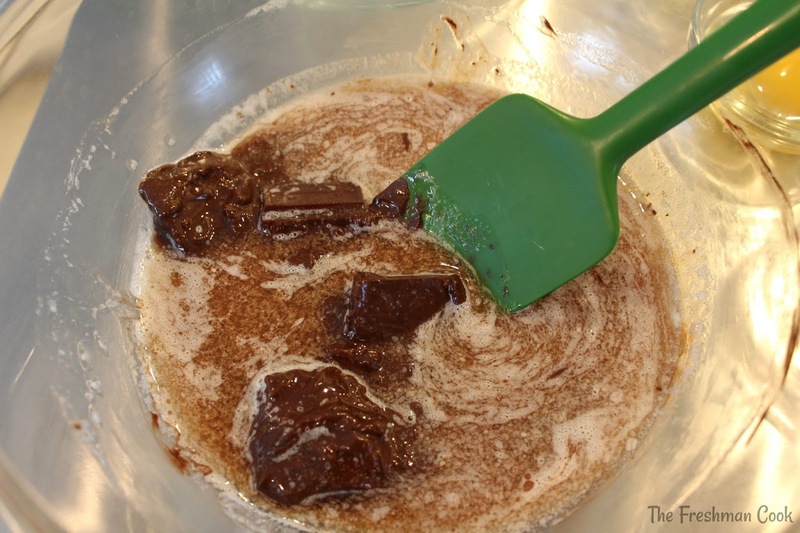 While the cookies are baking, remove the appropriate number of caramel candies from their foil. 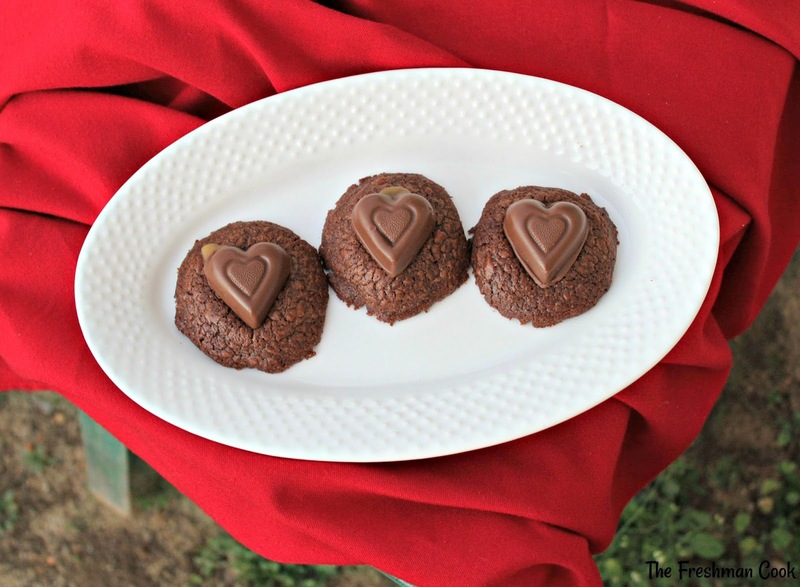 Place a caramel heart on each cookie immediately upon removing them from the oven. Enjoy warm, or place in a tin for gift giving! Check out these fun and tasty recipes from my blogger friends! We share Recipes From Our Dinner Table! Join our group and share your recipes, too! While you're at it, join our Pinterest board, too! How sweet that you got engaged on Valentine's Day! These sound delicious and look so sweet. These are awesome! Who can resist caramel and chocolate? These look absolutely delicious!! I love the caramel hearts on top. I'll have to look for those. Chocolate and caramel are so good together. Who could resist these? What's not to love about chocolate and caramel? And that heart candy - LOVE! Double chocolate AND caramel? These could be dangerously delicious!